As the leading organization in our battle to preserve our right to ride horses on public lands, Back Country Horsemen of America knows the fight is futile unless there are trails to ride. That’s why they spend thousands of hours each year cleaning, maintaining, and building trails on public lands across the country. Please join our team of volunteers and find a local chapter near you and your favorite places to ride. 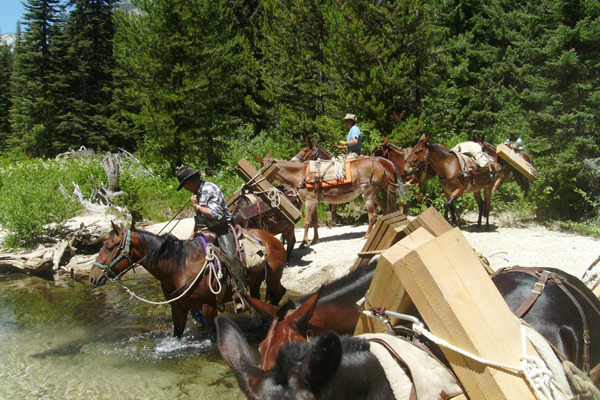 Volunteerism is one of the most important activities Back Country Horsemen can use in our effort to perpetuate enjoyable common sense use of pack and saddle stock in the backcountry. 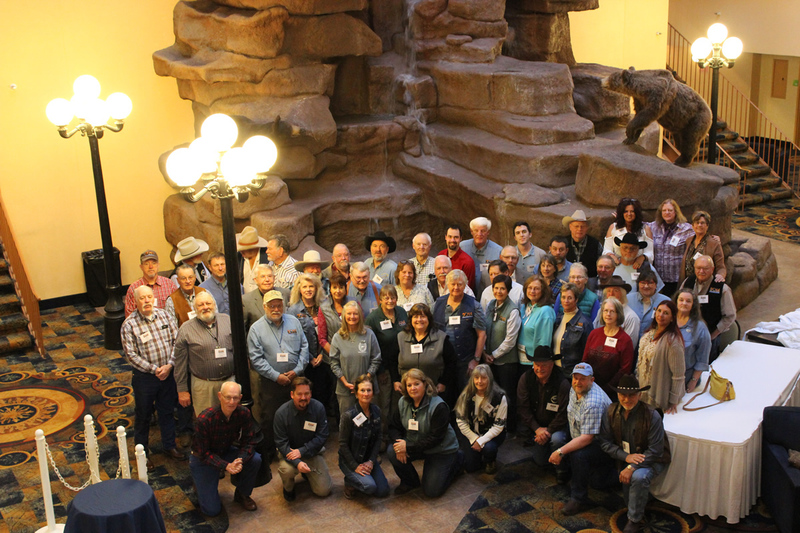 A central point of our mission statement is to assist government agencies in maintenance and management of public lands.The hours and value of volunteer service by Back Country Horsemen is consistently under reported. The past 22 year total for BCHA volunteer service is $ 151,910,976 million, a value that gives BCHA national representatives significant leverage when engaging with the Public Land management agencies and other user groups in policy discussions about trail access and maintenance. Each chapter and State organization Volunteer Hours Coordinator (VHC) or committee responsible for reporting the hours that members work and other expenses they incur during their service. BCHA provides a Microsoft Excel Workbook to aid in the reporting of Volunteer efforts by the BCH chapters and States. Detailed guidelines for reporting the Volunteer effort are provided along with a PowerPoint presentation. These guidelines are designed to help the VHC set up a program for reporting in their chapter. Each year at the national BCHA board meeting, this award is presented to BCHA chapters for an exceptional volunteer project and/or educational program completed during the previous year. The efforts eligible for recognition can include, but not limited to, trail maintenance, trail construction, trailhead construction, educational programs, and youth programs. Applications are accepted from any chapter/unit for a volunteer project or educational program that was completed during the calendar year January 1st to December 31st and must be received before March 20th of the current year either by email to: Volunteer@bcha.org or US Mail to: BCHA Double Diamond, PO Box 4486 Chino Valley, AZ 86323. . No applications received after March 20th will be considered. The BCHA Volunteer Hours Committee appointed by the National Chair of BCHA will decide the winner or winners. 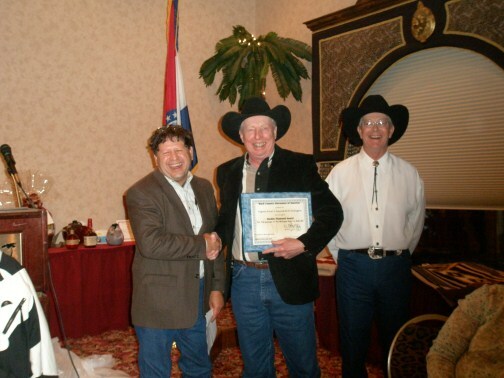 The award will be presented at the BCHA National Board Annual Banquet. For questions, please call 706-455-2921 or 815-245-0073 . For last year in 2018 we had another great year with just over 12.1 million dollars worth of volunteer dollars donated with over 322,125 volunteer hours from 30 different states. Throughout the year this included just under 10,956 stock were used while volunteering plus over 1.6 million travel miles. Thanks again to all the BCHA members who tirelessly volunteer keeping our public trails open. Here are the number of hours and their calculated value for the work that BCHA members have done over the last 22 years. The total for 22 years is 5,419,862 hours for a total donated dollar value of $151,910,976 Wow!! Thanks BCHA Members for all your hard work.